Youtube is a wonderful source of organization, decluttering, minimalism and home content. But it’s also a search engine with endless results with not a lot of indication to which is the best. You can find yourself wasting a lot of time searching for answers in all the wrong places. If you’re looking for the best organization youtube channels to get inspired, you’ve come to the right place. Iv’e gathered up the most popular, thorough, inspiring and best organization youtube channels for you. I added family channels, millennial channels, home organization channels, journaling and goals organization, productivity and routines channels. So hopefully everybody can find their favorite content on this list 🙂 The channels are not listed in a certain order, all of them are equally wonderful! Brittany from “Vasseurbeauty” is currently mostly making lifestyle videos on DIYs, home organization, cleaning, budgeting, healthy living and more home and family topics. She started out as a beauty youtuber but she has branched out since then. Brittany is one of my favorite youtubers out there, I’ve been subscribed for around 3 years and seeing her journey and family is just terrific! She has a baby boy (18 month old) and she shares so many easy and useful hacks for everything. From organizing to minimizing, motherhood, decorating minimally etc. As a bonus, she is so funny as well, and everything she does is presented positively. So if you want to have a good time while organizing, I defiantly recommend to check her out! Click here to check out her channel. Aileen from “Lavandaire” is a lifestyle youtuber all about life being an art, and I have to agree! Everything she creates feels like art, from the way she talks to the way she edits. She teaches how to treat life like they’re art and how to create your own masterpiece. Her youtube channel has a lot of informative videos on how to improve your life, when obviously one of them is organizing. There’s also more wonderful content about journaling on her channel, which I love. She really targets being focused and organized as a main way to achieve your goals. Click here to check out her organization playlist. Megan from “Love Meg” is a southern youtuber with many life advice for southern mamas out there. Her lifestyle as a stay at home mom and business owner is truly inspiring. She shows how to have it all while having a strong marriage and partnership. Her kids are also absolutely adorable when they organize with her! Follow Megan for thorough guides, routines, and tips about organizing, cleaning and managing a home. Click here to check out her cleaning & organizing playlist. Check her channel for family & organization content. Click here to check out her home playlist. Sadia from “Pick Up Limes” is one of the most calming youtube personalities you’ll ever watch. She focuses more on minimalism rather on organizing. But if you’ve been following me for a while, you know I’m an advocate of decluttering before organizing. Watching Sadia will motivate you to minimize in order to be a more relaxed and calm person. Her youtube channel is full of useful tips that are presented in a lovely way. If you want to destress quickly – this is one of the best organization youtube channels to follow! Click here to check out her minimalism playlist. Nikki from “At home with Nikki” is all about home organization, interior decorating, crafts and cooking. Her beautiful home and amazing decor style will make you want to organize right now! Nikki’s youtube channel is full of beautiful home decor, family content and organization tips for maximum productivity. Check her out and get instantly motivated! Click here to check out her home organization tips playlist. The clutter bug is one of the biggest sources for organization in Youtube. She has a system in which every person is different when it comes to organizing, and she covers all her ways and methods for each person. I love that she takes different approaches because it makes a lot of sense that we are all different, even with organizing. 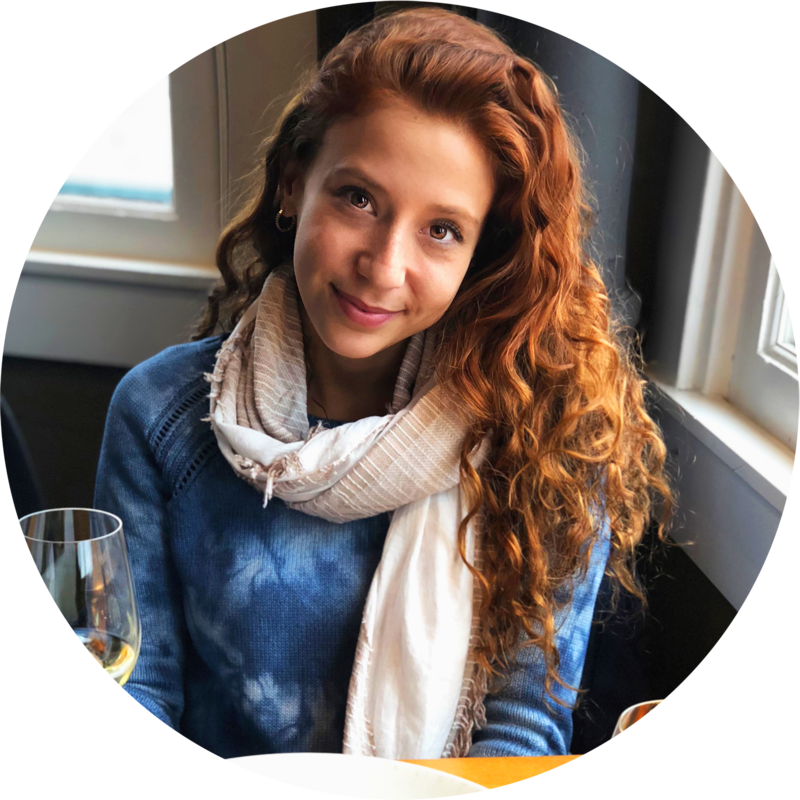 She has many tips on topics like DIY’s, cleaning, organizing, decluttering, decorating, spring cleaning, and much more. With over 300 organization videos, there’s nothing you won’t find in her channel. Click here to check out her organization tips playlist. Kathryn from “Do it on a dime” is an organization, DIY and frugal living youtuber. She has over 230(!!) videos on the subject of home organizing alone. And she has so much more to offer in other home related videos. If you’re looking for some serious information and an endless source of organization on a budget videos, this is the channel to follow. She defiantly has one of the best organization youtube channels out there. Click here to check out her organizational playlist. Rachel-Lee from “Rachelleea” is all about motivation, organization and productivity! Her style and videos are beyond visually satisfying. She has routines that keeps her in check, and if you’ll watch her, they will keep you in check as well. Rachel-Lee is a university student in Australia and she is the perfect youtuber to follow for millennials, students, freshly-off-university-boss-women out there. As one myself, I’m really happy I stumbled upon her channel. Alejandra from “Home Organizing by Alejandra.tv” is a proffesinal organizing expert and life coach. Her channel has the most viewed organization videos in Youtube, and it’s not hard to understand why. She has perfected the art of organizing to a tee. Every single inch of every single space in her home is masterfully organized and color coded in rainbows (which is my absolute favorite). It might intimidate at a first look, but I find it so calming and inspiring! The reason this is the last channel on my list, is that it wasn’t active in nearly two years now. Unfortunately, Alejandra stopped uploading new content. The channel still has its 167 older videos that are filled with unbelievably beautiful organization systems and methods. I would love to hear from you – do you have a favorite organization youtube channel that I’ve missed?? Do you like watching youtube for organization inspration? Do you find it useful like I do? 6 reasons you’re not decluttering & how to resolve them. 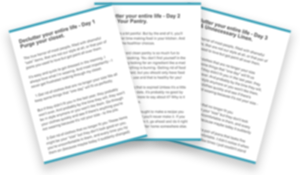 Get this free 7 day e-course to make your life easier! This is a step by step guide that goes through each room. Great round up here! We are trying to get on top of our house and get it all sorted once and for all, I am going to watch all of these videos and take control!! Wish me luck! Oh, you have no idea how timely this is! I am in the middle of doing some big-time cleaning out and I definitely need organizing tips. Will take a break and watch some of these now, thank you! Oh my gosh, this is awesome! I love having my home and everything organized, I can’t wait to watch some of these to get new ideas. These are all new to me. I know howmill be spending some time this week! I love all things organization, so I can’t wait to check these out. Hey Christa, I’m glad you found some new channels, I truly love all of them! My kids have subscribed to many different youtube channels. Maybe I can get them hooked on some of these and they can clean! Hahaha, good idea, Rachel! I’m sure your kids would love these channels as well. I bet you will also love Rachel Aust. She makes awesome videos, really well made and currated to perfection, about minimalism and diet as well! Organization is just so satisfying! These are all great channels. I really like Love Meg! Hey Tonya, me too, she’s great! This is sooo awesome! I love organizing, and love getting new ideas. I’m definitely pinning and saving for later use. Hey Jane, I hope you’ll find this useful! 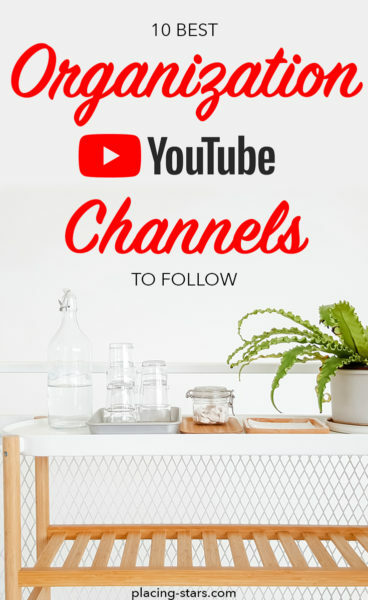 Nice I love watching organize and DIY channels on YouTube I will check this all of organizing channels Thanks for sharing! I am definitely all for organization ideas. 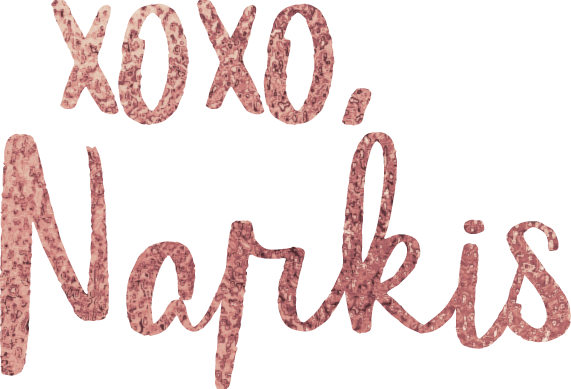 I love that you have shared all of these amazing channels in one place for me to bookmark! Hey Becca, I’m glad you find this helpful! I love watching DIY videos on YouTube. You have shared some amazing videos here. I’d love to check them out. Hey Anshika, I hope you’ll like the videos.